Usually the 1st Sunday of every month - We welcome those new to the Vineyard to meet our lead pastor through this informal time of refreshments & conversation. It's also open to those who have been coming to the Vineyard a while but haven't yet gotten a chance to get connected. For those newer to the Vineyard who are desiring to explore or establish deeper connection and commitment, we encourage you to join us for this four week evening class which provides an overview of who we are, who we are called to become and how we move forward in embracing our calling as a church community. Dinner will be provided! Childcare is free if you register by the previous Sunday. Doing life together is better! Join a Vineyard home church or support group and get to know and grow with others! Groups are open to all and we hope to see you next week! 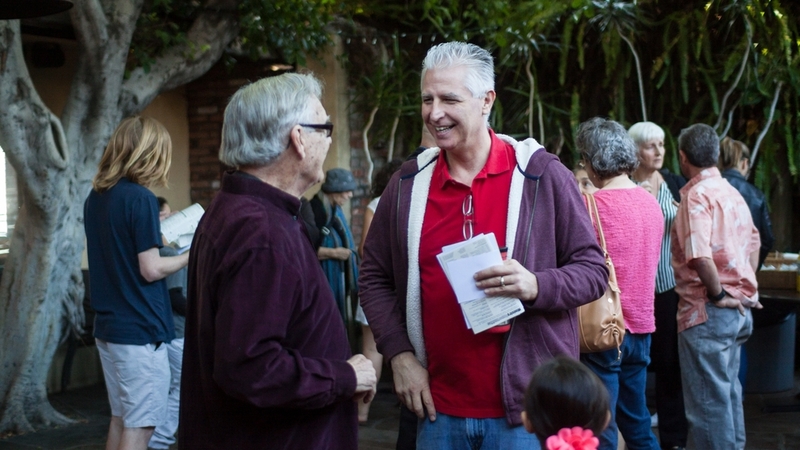 Our Sunday gatherings involve many people serving one another! There are many opportunities to serve, and serving is a great way to grow community, build connection, and follow Jesus' example. If you're available to welcome people, put words on the screen, brew some great coffee, work with children or youth, or serve through music or prayer ministries, we have an opportunity for you! It is our desire that everyone would know the joy of being a part of God’s love for the whole world through participation in mission. We're committed to engaging our world through serving our neighbors, our city, and our world. It’s been common to hear people say that they went to a church for a significant period of time and never really felt connected. What I’ve come to realize is that what is really being said is that they attended a large gathering of that church community… and that any such gathering that’s larger than 25 people… isn’t by nature designed to develop meaningful personal connection. Sociologists will affirm that basic truth. The reality is that we don’t attend a church… we are the church. What we attend are gatherings of the church. The larger gatherings serve some very unique and vital aspects of our spiritual life. However, as we leave the larger gatherings, we are likely to sense an unconscious and interesting dynamic in terms of connection. We may sense something of the profound mystery of being spiritually connected through joining our voice with others in worship… or taking communion from the common elements. But we are also likely to leave in our cars a bit lonely as well. Because we were in a crowd but not personally known. That is where the Home Church and support groups provide real life. It is in these relationally centered gatherings that we can be joined by others in the real life that we are living… and stand with others in what God is working in them. It is in such an interactive context that we exercise the process of God’s word speaking to us… and His Spirit speaking through one another. It is there that we discover that Jesus is not only in us… but among us… just as he said. (Matthew 18:20).